Public Service Broadcasting ~ Inform Educate Entertain (Self-Released). Talent and popularity don’t always go hand in hand, but Inform Educate Entertain is the exception: a guilty pleasure packed with hit singles. PSB plundered public archives to find samples, placing all topics on equal ground: television, exploration, fashion, color, war. A combination of dance beats, ambient washes and post-rock flavors, this potpourri of British culture created enough goodwill to stretch around the world. Human Pyramids ~ Planet Shhh! (Oxide Tones). Planet Shhh! sounds like a world on vacation, a wide-open summer stuffed with possibility and hope, bursting with barbeques and beach balls, carnivals and calliopes, fireworks and holiday parades. Featuring handclaps and horns, glockenspiels and guitars, this explosion of ebullience draws comparison to both Sigur Rós and The B-52s. 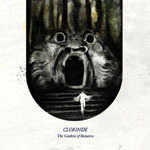 Clorinde ~ The Gardens of Bomarzo (Self-Released). The Gardens of Bomarzo, also known as the Villa of Wonders or Park of Monsters, was created in 1552 and commissioned by a heartbroken prince. The park is filled with monsters and mythological creatures, strewn about with little sense of apparent reason. Each of this album’s tracks refers to a facet of the park, from Hannibal’s Elephant to the Mouth of Hell. By drawing upon a multitude of instruments (bouzouki, mandolin, kalimba), Clorinde creates an atmosphere that is simultaneously modern and medieval. When attempting to score the unusual, one needs to become unusual in response. Here be monsters worth embracing. Botany ~ Lava Diviner (Truestory) (Western Vinyl) As a child, Botany (Spencer Stevenson) toyed with Casios and cassette players; now he’s made it a career. His process of “collecting artifacts” is similar to scrapbooking. Dialogue samples, guest vocals and turntable tricks abound. While listening, one may imagine that an old movie is playing, or that an ancestor has returned from the dead and headed to the Victrola. But these spectral visitors don’t want to scare anybody; they just want to dance. rotor plus (r+) ~ dust (The Radiophonics Trading Company of New Zealand). 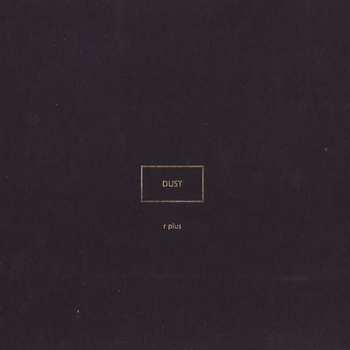 dust completes a trilogy that began in 2000. The beats are gone, as if rotor plus has said all he wants to say about beats. The album even sounds like dust: the dust of distant galaxies, the dust of dreams decayed, the dust of discarded efforts: a half-life of sound accompanied by a sorrow of strings. A fearsome sadness permeates the recording, as if rotor plus knows, this is it. But if dust is to be the artist’s final will and testament, it’s certainly the way to go out: with music so vibrant that it gasps for air, desperate to leave this world without leaving a single crucial note unplayed. Daniel Blinkhorn ~ Terra Subfónica (Gruenrekorder). Terra Subfónica is a series of “radiophonic miniatures” that investigates sound and sub-sound, with an emphasis on the ignored. The selection of soundscapes ranges from quiet field recordings (clocks, oceans, the human body) to thick electronic drone. By concentrating on underappreciated frequencies, Blinkhorn opens windows into perception and the subconscious. We do hear these sounds; we just don’t know that we hear them. Ennio Mazzon ~ Xuan (Nephogram). The 42-minute single track Xuan is a collection of beeps, pulses and warning tones that sounds like computers and factories going to war. Nothing remains static. Given a list of featured elements, one would be hard-pressed to spot them all: drip, meow, kettle, block, glass, bell, a cornucopia of sources settling gradually into a mattress of drone. 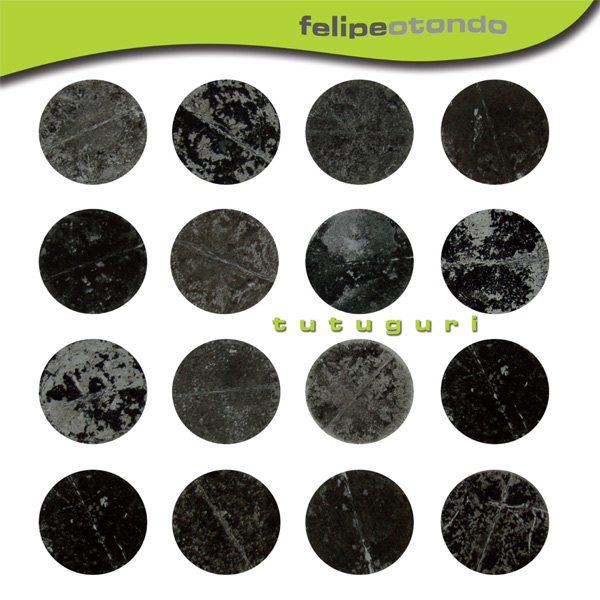 Felipe Otondo ~ Tutuguri (Sargasso Records). Tutuguri is bright and smooth, an investigation of timbres ranging from Javanese gamelan to Buddhist bells. Otondo is interested not only in notes, but in the spaces between notes, which he often extends. His soundscapes are meditative and reflective, but not always quiet; the most compelling sections frolic with childlike abandon. Tim Hecker ~ Virgins (Kranky). Is God in these notes? When the electronic textures descend on the organ, do angels start dancing on the head of the pin? Hecker’s theological treatise succeeds through complexity and cloud, the opposite of comprehension. Karl Barth would describe this subject as the “No-God”, an honest read of what is by nature undefinable. Hecker creates the desert through which the listener wanders, providing the setting for a possible revelation. Daniel Bjarnason ~ Over Light Earth (Bedroom Community). As patient as an Icelandic winter, the follow-up to Processions stores provisions for the long haul, doling them out to listeners who wait, as hungry as wolves. Inspired by Rothko and Pollock, Bjarnason utilizes broad symphonic strokes to convey his themes, but a thin brush to elucidate his ideas. “Four Feathers Few”	Directed by Joey Bania, music by Orla Wren. “Capitulo I” Directed by Cunha/Faria/Mota, music by indignu. “I Could Hear the Water at the Edge of All Things”	Directed by Alex Amoling, music by Hammock. “We Should Make Strange Things”	Directed by Naoki Niwa & Tadahiro Gunji, music by MAS. “The Clockmakers”	Directed by Renaud Hallee, music by Renaud Hallee. “Etereas”	Directed by Villanueva & Soler, music by TeenFlirta. “Bad Kingdom”	Directed by Pfadfinderei, music by Moderat. “Cirrus”	Directed by Cyriak, music by Bonobo. “Samba – Loop”	Directed by Ronda, music by DJ Fernandez. “Fix My Life”	Directed by Morgan Berenger, music by Melt Yourself Down.